For the Love of Flannel! 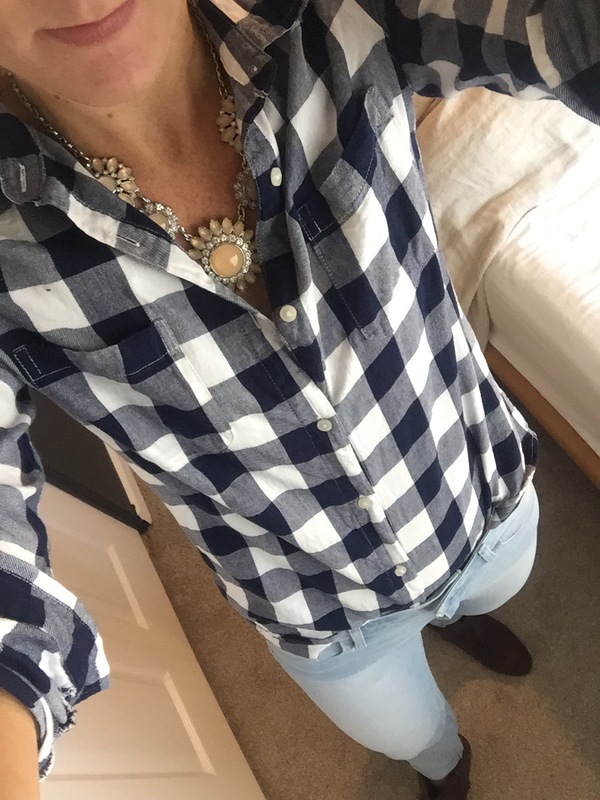 Jeans: Old Navy Rock Star skinnies. Again, give me one in every color! Stretchy, perfect length and so comfy. Shoes: Lucky Brand booties in chocolate brown. Necklace: Christina’s Joy from Lia Sophia. As you can tell, I love Old Navy. It fits me really well, even after having a baby. The Gap, too. I just cannot have enough skinny jeans. Once you find a pair of jeans you like, stock up! Because we all know how hard it is to find that perfect pair. So there you have it. 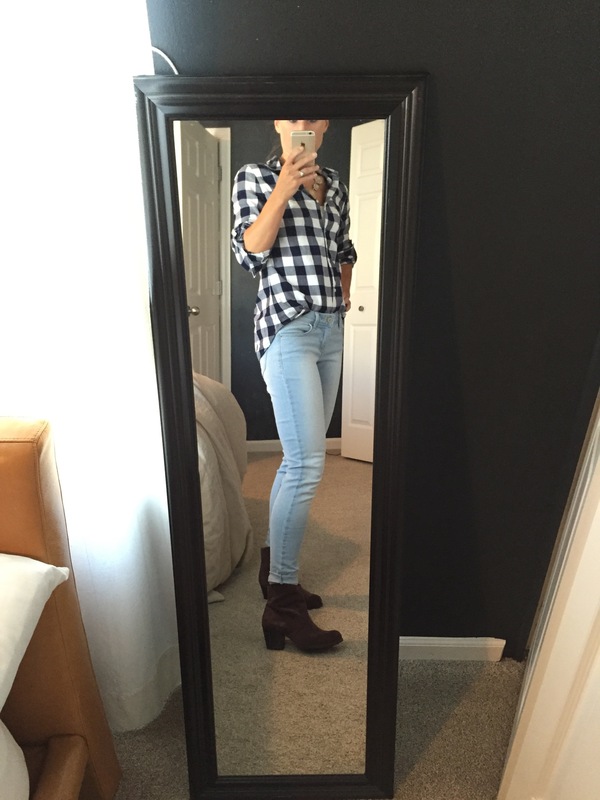 The first fall outfit that I shared with you guys. Love it or hate it, I don’t care. Just do you. I will probably post another on Friday of my date night outfit. My husband and I are celebrating our 5th wedding anniversary… wHaT! ?